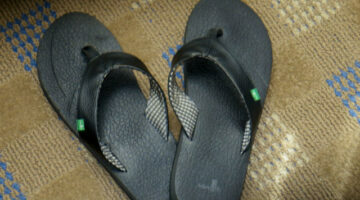 Havaiana Flip Flops: How Are They Different From Regular Flip Flops? 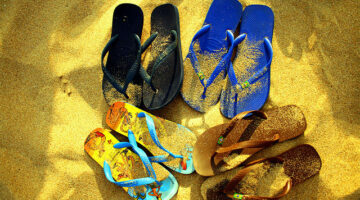 How are Havaianas different from other flip flops? 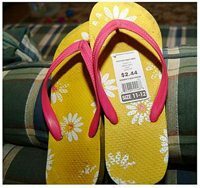 Well, Havaianas began to distinguish themselves from knock-offs as early as 1970 when they launched a commercial stating that ‘they don’t lose their shape, they don’t smell, and the straps don’t get loose’ — unlike other flip flops. Check out the Reef Dram Sandals with a built-in flask. These flip flops hold 3 ounces of liquid beverage — per foot. That measures out to about 4 shots worth of your favorite adult beverage! Flip Flops are my all-time favorite kind of footwear! I’m all about whatever shows off your feet and keeps you comfortable. Not to mention the whole slip-on factor… ya gotta love shoes that you can just hop in & go! Tiddies… are a fun ‘retro’ slip-on shoe that’s in a class of its own. These fun sandals have also come to be known as ‘summer camp shoes’ or ‘pirate shoes’. Regardless of what you call ’em, they’re some seriously cool shoes!